“My collection usually depends on my mood,” says Şahin from his studio in Turkey. “I was very depressed when I prepared the black collection. I was like Alice [in Wonderland] in preparing this collection.” Twisted heels and angular shapes, colorful uppers and intriguing lines make these shoes centerpieces rather than everyday wear. They are an artistic expression of Şahin’s inner most design inspirations. Since launching his eponymous line of footwear in 2008, Şahin has balanced his creative needs with practical obligations to deliver both wearable and abstract shoes. Meet Safa Sahin—footwear designer, painter and photographer, an all round renaissance man whose inspiration is as wide as his artistic vocabulary. From the characters of novels to colorful insects, this Turkish designer is inspired by a variety of elements that turn the mundane into high heel magic. 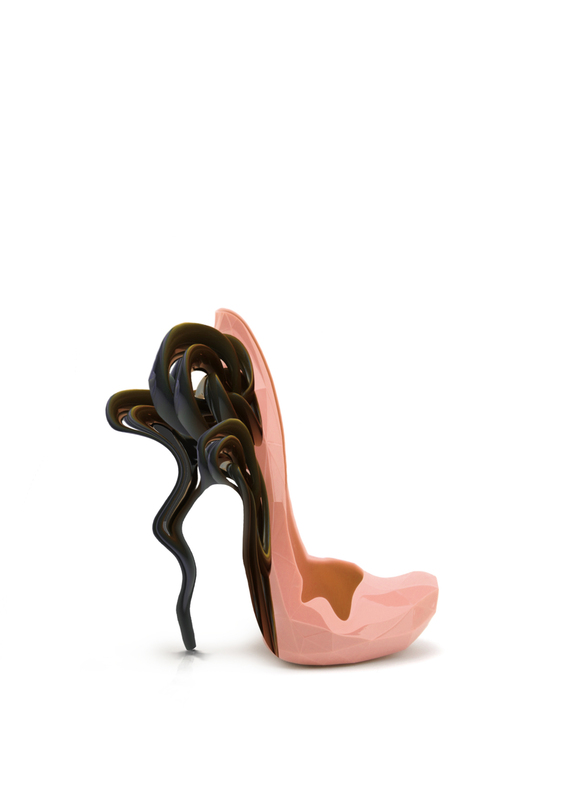 An accomplished footwear designer, Sahin completed a unique two-year shoe design course at TASEV (TÜRKIYE AYAKKABICILAR SEKTÖRÜ EGITIM VAKFI) which provided the technical foundation for his highly elaborate designs. Having worked with larger shoe companies before branching out on his own, Sahin is the first to admit one of his greatest challenges is to sell the concept of his creations. Far from being discouraged, this initial rejection spurs Sahin on to create something truly extraordinary. “I like them to be surprised,” says Sahin. And indeed they are. With five personal exhibitions under his belt throughout the U.S., Italy and Turkey, Sahin’s desire to create something unique far outweighs the initial setback of any objections he may encounter. Winner of the Detay Leather Competition of Shoe design and Trendsetter Magazine Handbag Design Competition, he has attracted a global following who view his work as a mixture of art, design and fashion.